Red River Gorge vacations are amazing ways to escape the city or break out of your everyday norm; so come out and take in the breathtaking views. 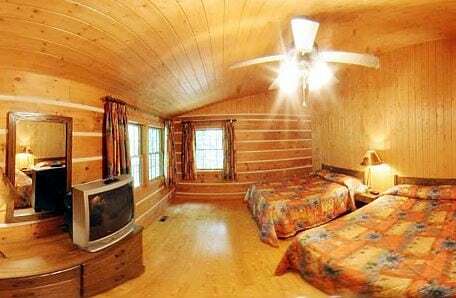 The Red River Gorge offers numerous ways for you to stay in this beautiful region, whether you prefer large luxurious cabins, moderate size or even small rustic style cabins. Aside from cabins there are Hotels, Motels and Lodges for individual or multiple room rentals. 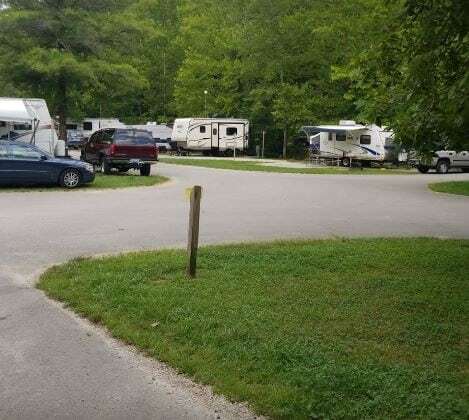 And if you want to get a little closer to the outdoors throughout your stay; you can check out one of the local RV parks, or traditional camp sites. Cabins are available for small groups of 2-6, or large groups up to 15. All cabins are modern; most with city water, satellite TV, central heat & air, a full service kitchen, modern bathrooms with showers, decks, grills, outdoor firepits, hot tubs, etc. Some now with Internet & pool tables. Read descriptions and check off amenities that you desire for list of cabins that meet your needs. Some cabins on gravel roads and hills, those will be marked recommend 4 wheel drive. Plan your honeymoon or reunion with us, just minutes from Natural Bridge State Park, Slade and the Red River Gorge in Kentucky. 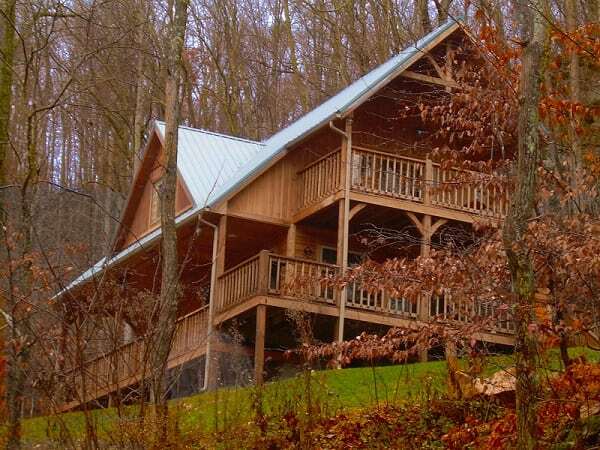 Located just 10 minutes from the Red River Gorge and the Natural Bridge State Resort Park, at the edge of the Appalachian Mountains, Cabins of Birch Hollow is the Kentucky Rockies’s premier cabin rental destination. 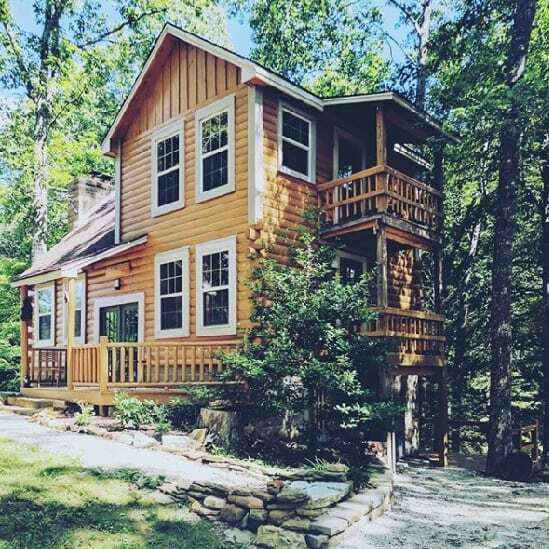 Our spectacular cabins offer rustic elegance for all types of vacationers eager to experience the quiet beauty and the variety of outdoor adventures in this remote mountain wonderland in Powell County, Kentucky. 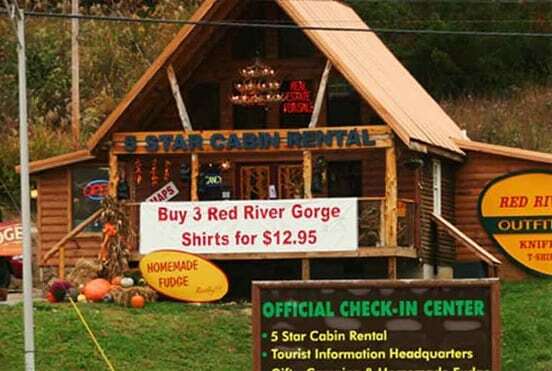 Red River Gorge Cabin Company offers cabin rentals in the heart of Kentucky. Our cabins range in amenities from hot tub luxury suites to off the grid rustic tranquility. Red River Green Cabins are our unique off the grid cabins located within the Red River Gorge Geological Area through the Historic Nada Tunnel. Quiet Waters Cabins is a complex of luxury cabins located in close proximity to Natural Bridge State Park and Mill Creek Lake, offering hot tubs, cable TV and internet connection. Chop Chestnut Cabins are secluded rental cabins located up on a ridge surrounded by woods only a fifteen-minute drive to the Red River Gorge. We are a family owned company that believes very strongly in providing the best vacation experience that we can for you and your family. It is important to us because we understand that in our world today families don’t get the chance to “get away” very often. So we feel responsible to you to provide clean fully stocked cabins and a fun atmosphere. 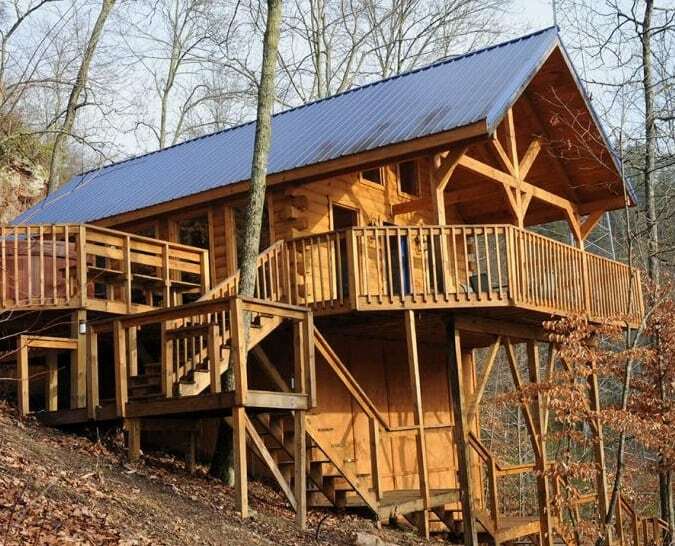 The Natural Bridge Cabin Company has cabins located in the Natural Bridge State Park and vacation rentals near the Red River Gorge area of Kentucky. We also have cabins located next to Spirit Lake, Cave Hollow, along the Red River Gorge National Scenic Byway, near Mill Creek Lake, and Cliffview Resort. Red River Gorgeous has been renting cabins in the Red River Gorge geological area for almost twenty years. 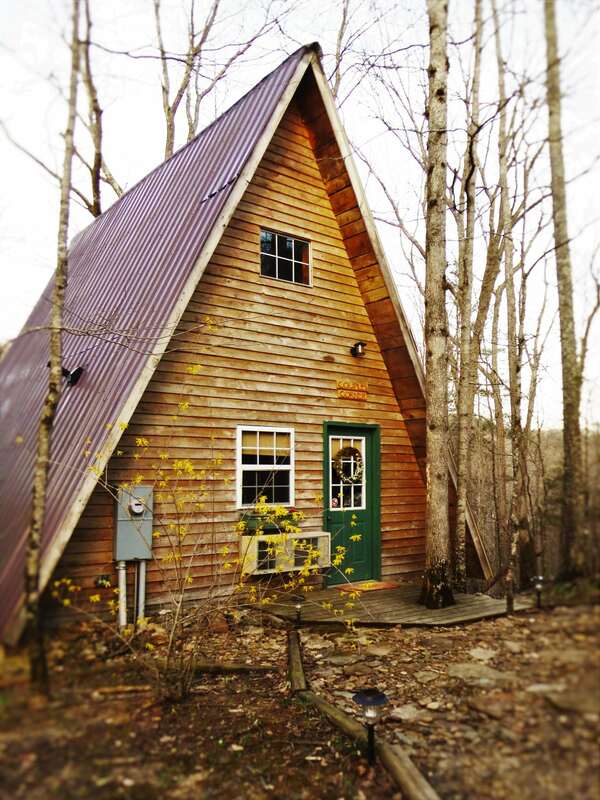 We are one of the few companies that have cabins available right in the National Forest. You can step out your door and be on a trail within minutes. Our main cabin complex is located a mile behind the Nada Tunnel and less than a mile from the Red River. Our property accesses the National Forest trail network that offers endless hiking options in terms of difficulty and distance. 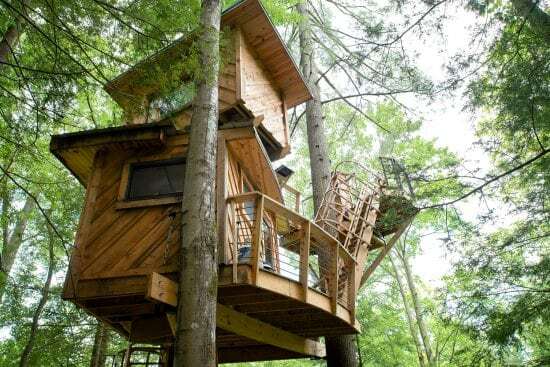 Step out of your cottage into the beautiful ambiance of the surrounding forest. 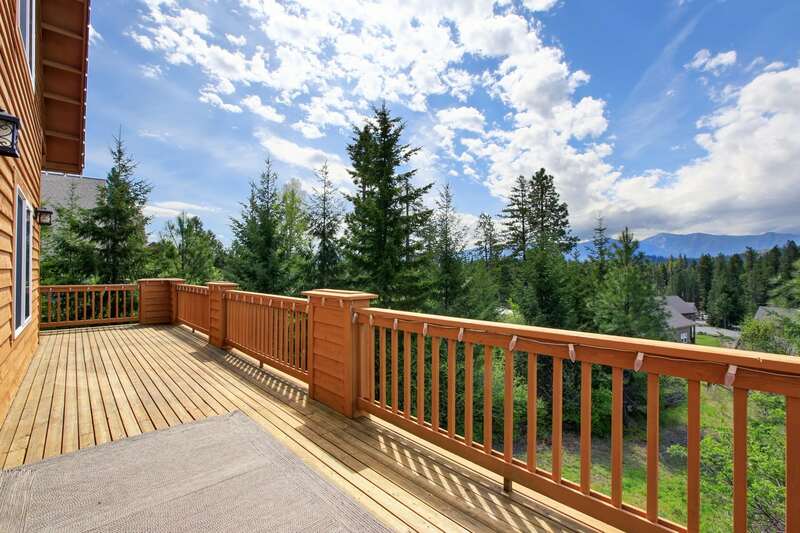 You will be encompassed by beauty in one of four two-bedroom, or seven one-bedroom cottages. Tableware, cooking utensils, and linens are provided. Open year-round. Cottages are available by late afternoon. Check-out by 10:00 am, local time. No more than two pets are allowed per room/cottage. 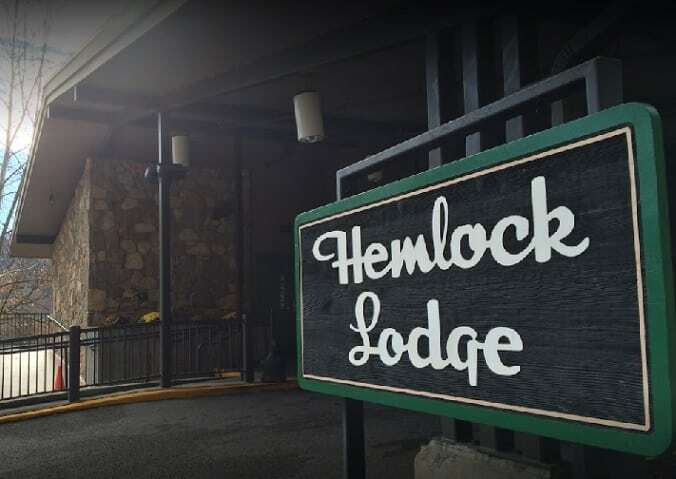 Click here to review our lodging guidelines. Imagine a day of adventure in the Red River Gorge or Natural Bridge State Park. 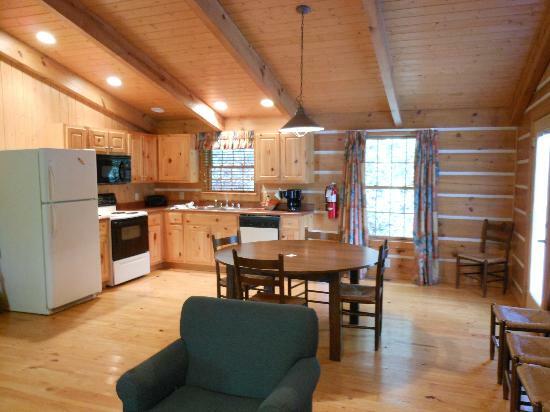 By the day’s end, you’ll be thrilled at having a cozy cabin rental to go home to. Red River Outdoors takes pride in providing you with a clean and quality lodging experience, centrally located to all of the area attractions. 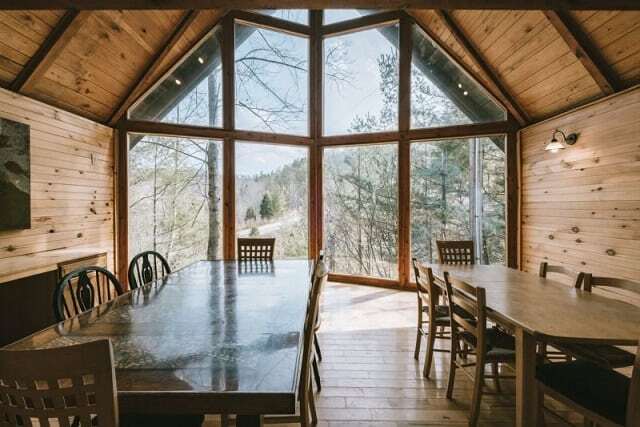 With our 2 locations; from a beautiful wooded setting to hearing the rush of a spring waterfall, our Red River Gorge cabins are vacation rentals that will make your visit a memorable one. All of our cabins are privately owned and maintained. We hope that you enjoy visiting our home! Make the most of your trip to the Red River Gorge in Kentucky with Natural Bridge cabin rentals or delight in the mountainside beauty of Hemlock Lodge. Not sure where to stay on your next visit to Red River Gorge, Kentucky? 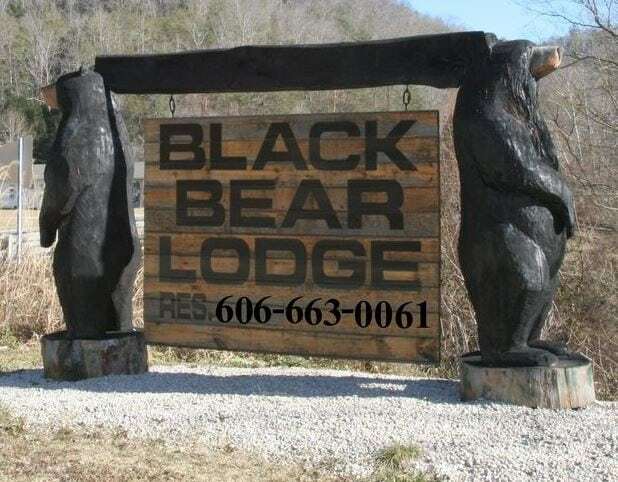 We’ve got the answer for you at the Black Bear Lodge! 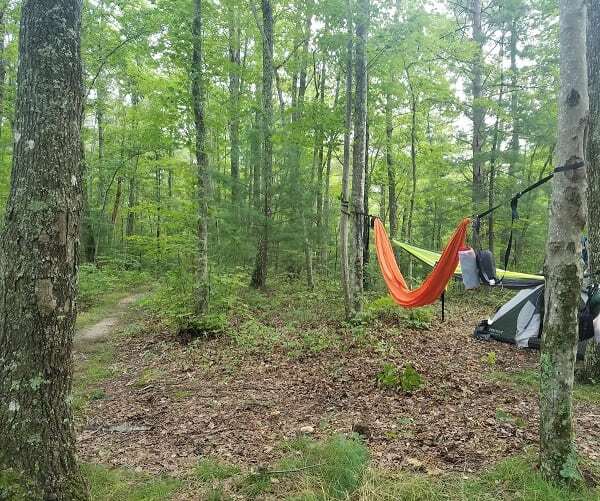 Just couple minutes from Natural Bridge State Park and all the areas activities and you don’t need to spend lots of dollars on a cabin. Cabins are fantastic but for that last minute trip or if you plan on being gone most of the time a nice, clean motel room may be the answer. 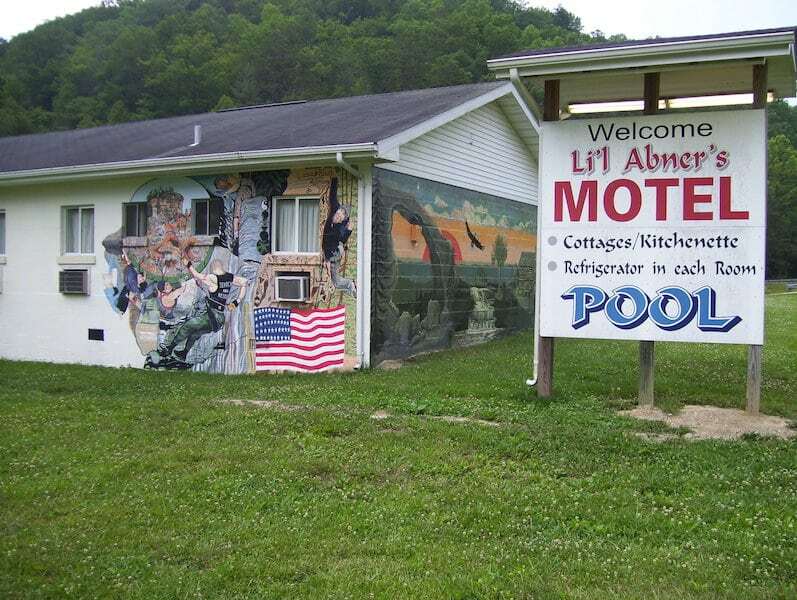 Abner motel is located a ten minute drive from the Red River Gorge and the Natural Bridge State Park. With a friendly staff and the cleanest rooms around , we will make your vacation a sure fire hit. We have several down home restaurants within walking distance and great activities to keep your days and nights filled. When you experience our Cliffview Resort, you experience all that nature has to offer. 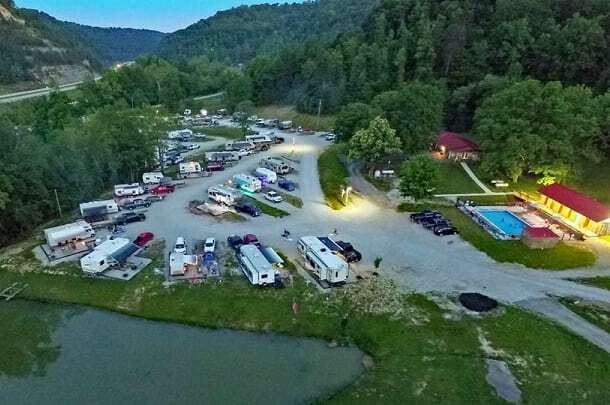 Whether you are a party of 2 or 200, Cliffview Resort is close to major cities and several area attractions making it your perfect home away from home while experiencing Eastern Kentucky. Cliffview Resort is a rustic, hilltop development in eastern Kentucky situated next to the Red River Gorge and Daniel Boone National Forest. 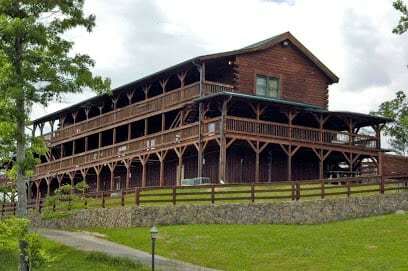 Centrally located to world class climbing and some of the most beautiful hiking in Kentucky is our unique lodge. 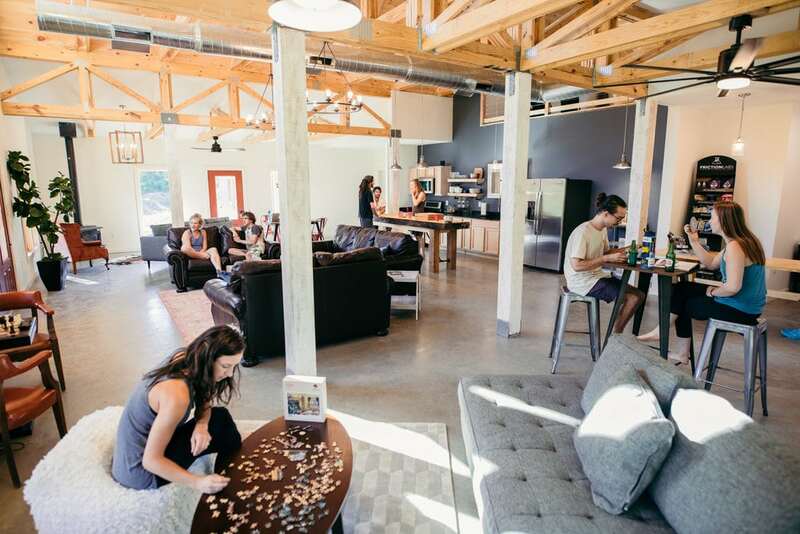 With our cozy accommodations and lots of community space, we provide a one of a kind experience in The Red. Whether you are coming for a few nights or a week, come enjoy our beautiful property. BedRock is the place to enjoy the community we all love with the rest we all deserve. Callie’s Lake and Campground in Red River Gorge is a fifty acre campground which includes a four acre lake. We have over 45 level and clean primitive campsites with fire rings, picnic tables, and gravel driveways for tents and RV sites with 30 amp and 50 amp hookups. The General Store at Callie’s is where you can pick up any of the camping essentials you may need. The General store also offers daily specials ranging from Hot Dogs, Hamburgers, BBQ, to Smoked Ribs and other Southern Cuisines. Callie’s also offers a multitude of events for entertainment such as Live music events like Red Fest and Battle of the bands, to Off-Road adventures. Our vision here at 4 Guys is to provide a great place for campers with equipment of all sizes to enjoy this wonderful area. We wanted to build spacious sites with water, electric and sewer. The pool was a must for us and is now open April – September! Wi-Fi has been extended to cover all full hook-up sites. We are less than 1/2 mile away from the historic Nada Tunnel and just a few minutes away from Red River Gorge, Natural Bridge State Park and Daniel Boone National Forest. But what you need is right here so you never have to leave your full hook-up site. Enjoy the great outdoors in a park campsite. 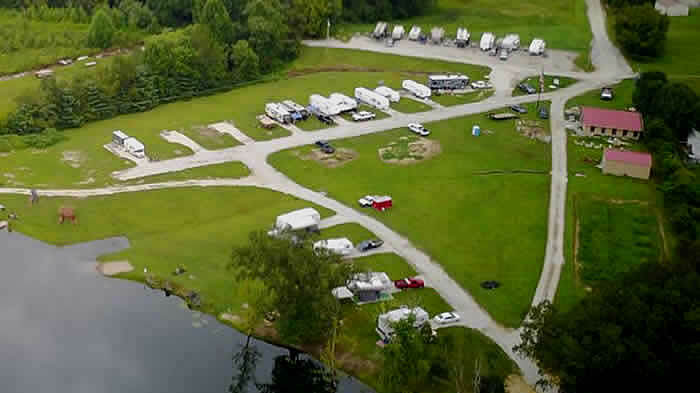 Two campgrounds, Whittleton Campground and Middle Fork Campground, provide 87 sites with utilities. Tent campsites are also available. Dump stations and two central service buildings with restrooms and showers are furnished for your convenience. Permits are required – A recreation permit is required for overnight camping in the Red River Gorge Geological Area and Indian Creek. All vehicles on KY 15 or in the Red River Gorge and Indian Creek areas north of KY 15 must display a permit between 10 p.m. and 6 a.m. Permits are available at local stores and at the Gladie Learning Center. The following are prohibited – Camping within 100 feet of the base of any cliff, or back of any rockshelter.